Let’s say you lost your key and got locked out of your house or car. 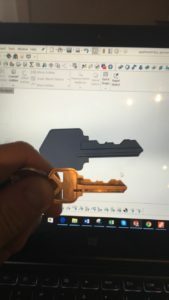 If you have a saved image of your key on your phone, it is possible to use that image to create a CAD model of the key and 3D print out a temporary key to get in. One of my latest projects is to explore this idea. This could be a possible service for people who get locked out of their car, apartment, etc. 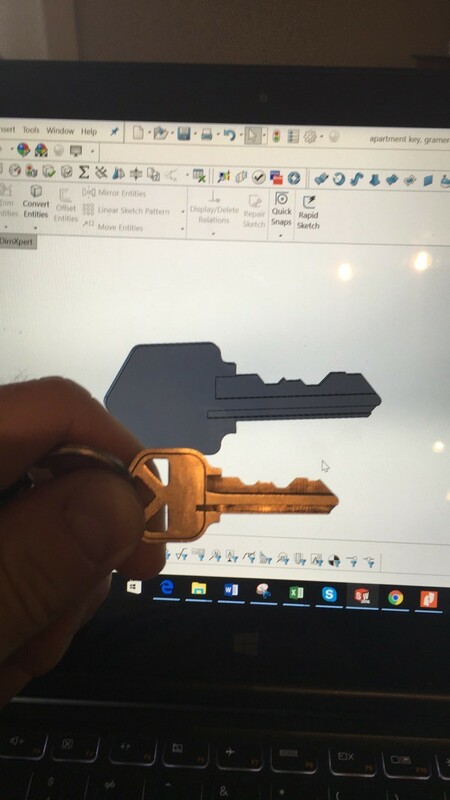 Since I am just getting started with this idea, I am going to test it by building a CAD model of my apartment key. From there I will 3D print it on my printer and test to see if it works. The material I will start with will be PLA since is the least expensive and easiest to use. My worry is that it may not be strong enough. But this is why I will test it! I will update this post after I print the key. Here is a picture of the CAD model in progress. PreviousPrevious post:Is Macbook Pro 13-inch with retina display good for mechanical engineering? Running programs like AutoCad, Solidworks, CATIA, ANSYS?NextNext post:Why Solidworks is not available for Mac?